A wild student who cannot open his mouth without laughing, unless sufficiently shocked, and finds practically everything funny. His theory is that as long as you laugh you can keep all miseries away and stay forever happy. 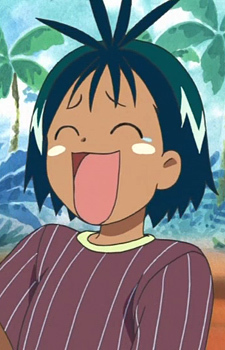 Waji taught Guu how to laugh, which might not have been a very good idea.